Sandwiches: America kind of has a problem with them, devouring them in all their carb-loaded glory for breakfast, lunch, dinner, and all those other meals hobbits talk about. At least it's a delicious problem to have. 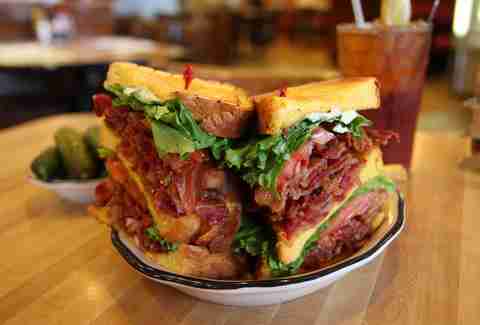 Houston, being such a fine city, naturally has many a damn fine sandwich shop making sure the local citizenry doesn't get too skinny. It seems to be working. 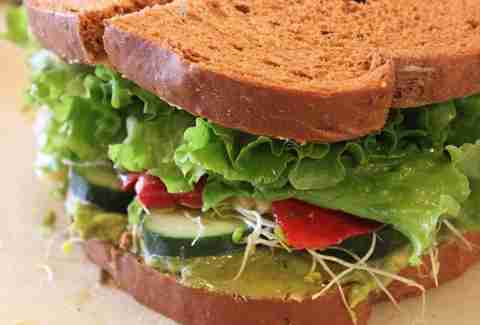 Farm-fresh produce and locally sourced proteins are at the front and center of this scratch-made, gourmet sandwich shop. Get everything from crunchy nut-crusted chicken with house pickles and buttermilk ranch on a pretzel bun, to a duck confit sandwich with gooey Brie and cranberry jam. No, but really, get everything. Good luck getting a seat at this Vietnamese eatery during weekday lunch. 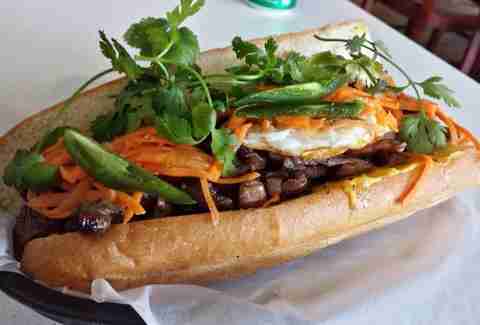 That’s okay, you can call ahead and take one of Houston’s freshest, most excellent bánh mì sandwiches to-go. Go for quadruple-pork meatball "Porter’s Balls" or the everything-topped, man-sized "Zombie" if you’re feeling particularly ravenous. 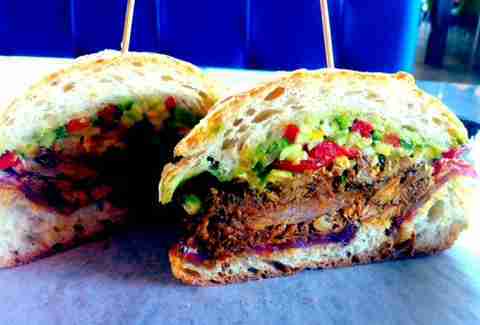 Lunch at this local goods and sandwich purveyor is pretty hard to beat. Not only do they make their salumis in house, they also have deliciousness like whiskey pate, lardo, local cheeses, and lamb pastrami up for grabs, too. 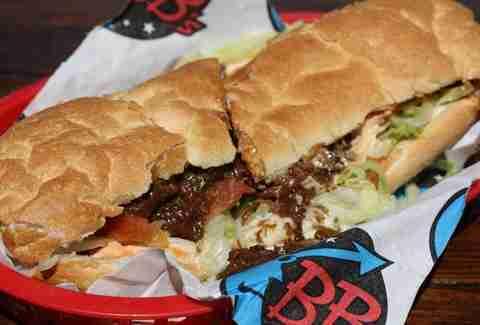 Philly meets Houston at this sub shop that’s totally worth the triple-bypass surgery you’re going to need after visiting. Yes, the cheesesteaks are Texas-sized. But more importantly, they’re covered with the fatty goodness of hot oil peppers, brown gravy, mayonnaise, and -- if you order the Fat Philly -- a handful of mozzy sticks, chicken fingers, and French fries. 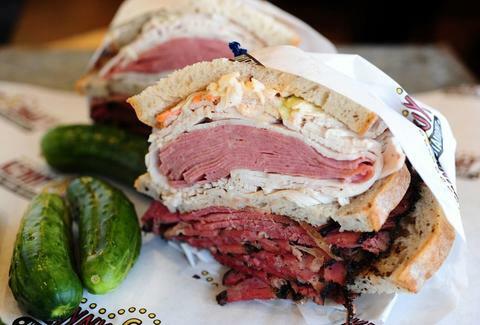 With sammies like all-beef bologna and the mayo-bomb that is their tuna melt, this 19th St deli boasts the kind of old-school charm that'll have you kind of sad that a little note from your mom didn’t come with your lunch. Go with something classic -- then call your mom just to say hey, because you totally don’t do that enough. 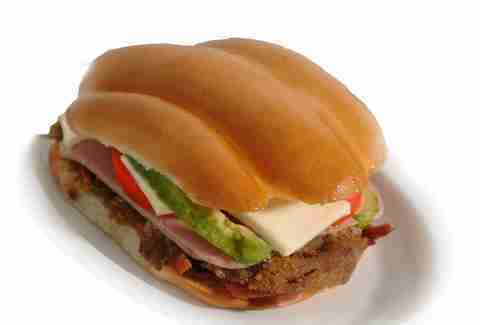 Visit this unassuming hole-in-the-wall for authentic tortas that come in two sizes -- grande or gigante. Served on angel-soft-on-the-inside, crisp-on-the-outside custom-baked telera rolls, stuffed with things like spiced-beef fajitas, ham & pineapple, and Veracruz grilled fish. That being said, go for the gigante size. 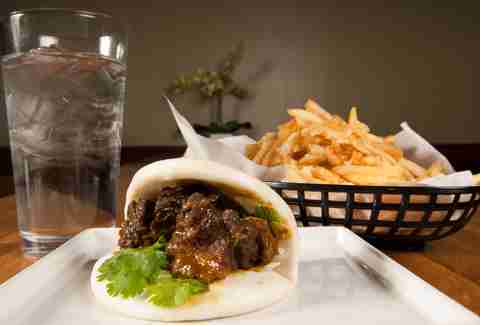 Because bao count as sandwiches too, yo! Especially when the soft, yeasty buns are stuffed with things like Chinese-braised pork belly, curried brisket, fried chicken and soft-shell crab. It’s hard to call yourself a local without having had this lunchtime-standby’s egg salad sandwich. The secret’s in the ridiculously delicious house-made mayo. And in the fact that the sandwich is basically carbs smothered in eggs and fat. Sandwich enthusiasts know Midtown’s biggest liquor store is hiding one of the best delis in town. 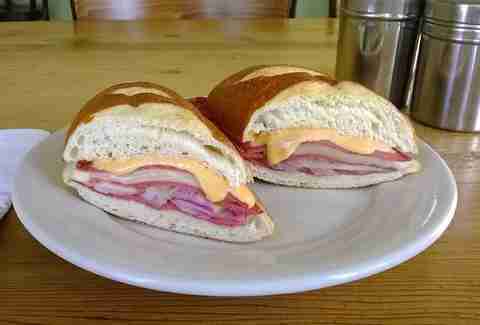 Get a badass pastrami melt or the roast beef- and pate-stacked "Pate de France." Then get a six-pack to-go because YOU CAN. 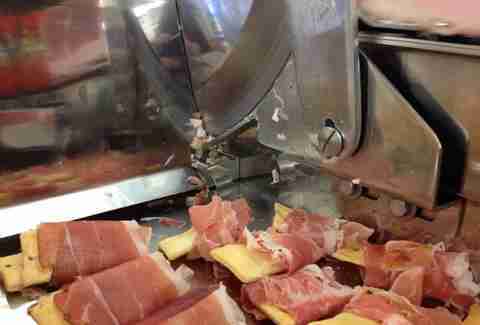 True story: Shaq once came in and ate two eight-decker, 4lb clubs piled with salami, roast turkey, corned beef, pastrami, coleslaw, roast beef, red peppers, and Russian dressing. Another true story: you shouldn’t try that. But you should go in and get a normal person's sandwich. Houston’s original po’ boy spot brought the crunchy, spicy hot pepper-loaded condiment “Chow-Chow” to the forefront. 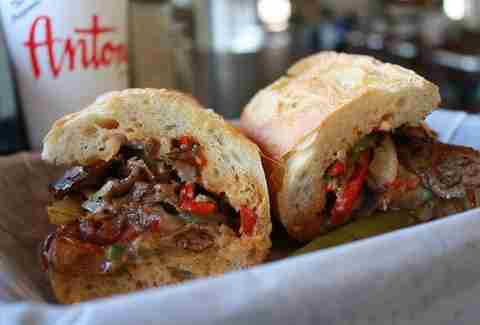 And Houstonians have been chow-chowing down overstuffed Italian, cheesesteak, and fried oyster sandwiches ever since. Though the chain lost some steam after it into the truer-to-the-classic Antone’s Original Import Co. and the too-wide-spread Antone’s Famous Po’ Boys, both have worked hard to return to their former glory. With fresh lobster shipped in from Maine every week, these New Englanders focus Maine-ly on lobster rolls. But you can also get classics like spicy salami, meatball Parm, and whoopie pie -- which can kinda count as a sandwich, right? Is there anything better than the smell of freshly baked bread? How about freshly baked bread with things like braised short ribs and fried pickles, or in-house pecan-smoked turkey with caramelized onions stacked inside? Yeah, that’s probably better. This Cajun eatery has over 10 po’ boys that are so good you almost want to drink them. Go for the "Door Steps in the Marigny" -- a sloppy roast-beef-and-ham number fully-dressed with a crap ton of mayo; or the "Bullet for the King" -- an overloaded grinder that comes with "bullets" of cream cheese and jalapeño-stuffed fried chicken that gets wrapped in bacon and topped with bacon ranch. Yeah.